Ranger Bear NEEDS a zip line IN ORDER TO get down the mountain to the first aid station. It was interesting to watch the students engage in this challenge while trying to synthesize the scientific aspects of the task with the design constraints. 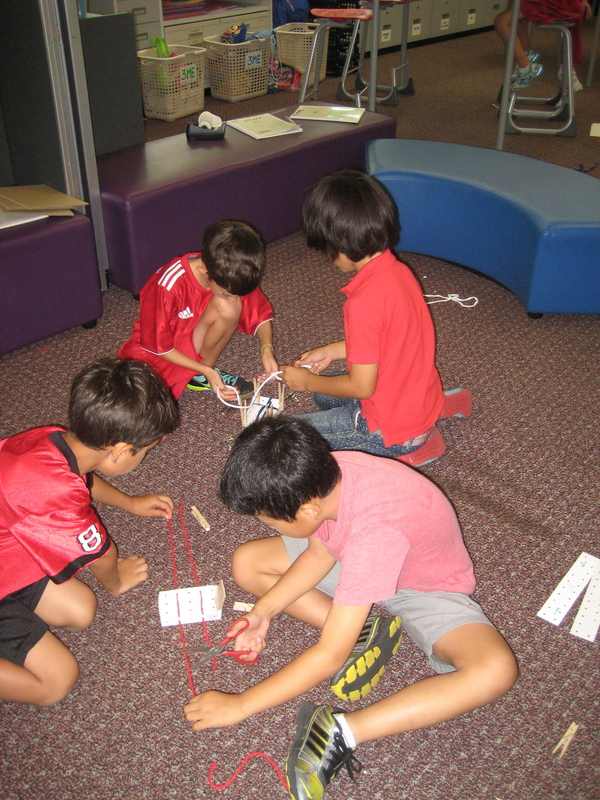 Most students realized that they would need to reduce the amount of friction and increase the amount of weight in order to have their device move smoothly along the zip line. Once they had met that criteria, they had to reevaluate and seek to balance the comfort of the injured bear with the need to move their rescue device quickly down the line with a sense of urgency. A lot of the initial prototypes crashed into the wall at the bottom of the slope, giving the poor bear a concussion and perhaps a fractured vertebrae. As they refined their prototypes, many students were able to craft rescue devices that supported the bear comfortably and helped him arrive at the rescue station in a timely manner. Student engagement was sky high for this challenge, beyond what we had experienced before. We have a strong hunch that this came from the empathy attribute embedded in the challenge. We’re still working with exactly how to build science understanding within the frame of a design challenge. 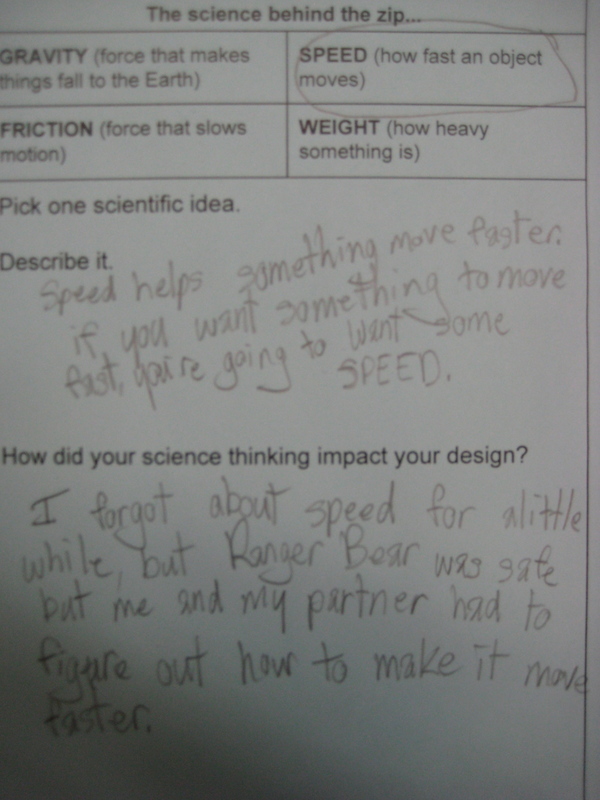 In order to help the students consider the impact of speed and weight on their design, we pulled these concepts out as separate attributes. Next time, we realize that we need to develop these ideas as they specifically relate to gravitational pull and friction. Since we plan to focus on gravity and friction in future design challenges, we have an opportunity to deepen their thinking by building on prior experiences. 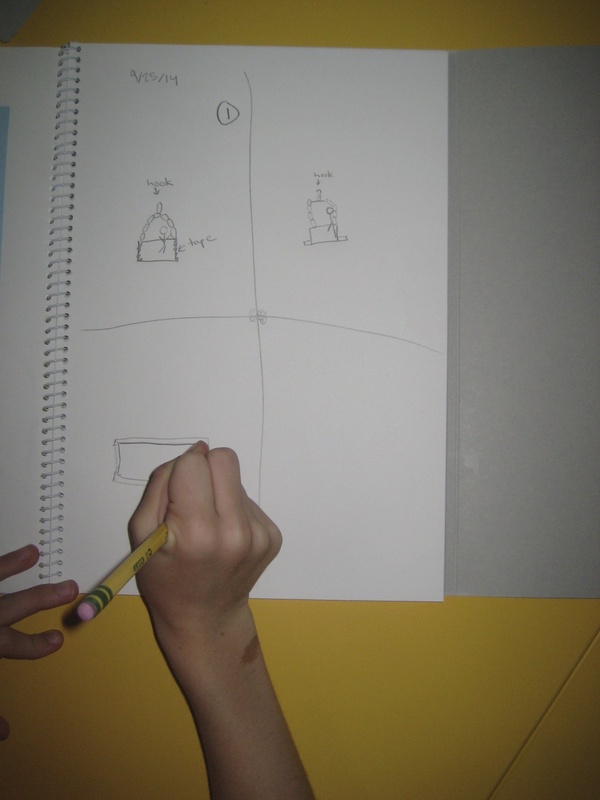 A last reflection we added was specifically looking at how students felt about the design process. We asked them to rate their feeling about different design components. Then, we asked for them to talk about a change they made and what they might try next time. We are trying to build an understanding that improvements can always be made as we continue to think about work we have done.